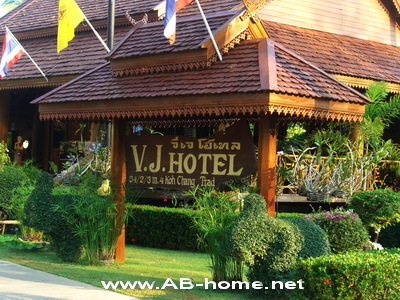 VJ Hotel in Klong Prao Beach is a Koh Chang beach front hotel with swimming pool and cozy rooms. The good location and the romantic restaurant make the VJ Hotel Health Spa to a leading accommodation on Ko Chang in Thailand. 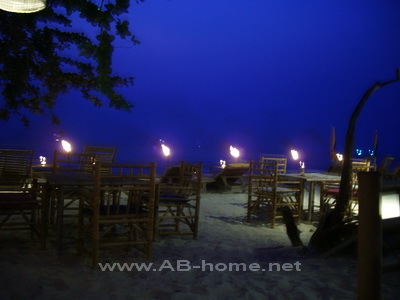 The sunsets are a good backdrop for romantic candle light dinners and honeymoon on the beach of Klong Prao. VJ Hotel Koh Chang is not far to some beach bars, massage shops and restaurants which allows to going out for shopping and dining. 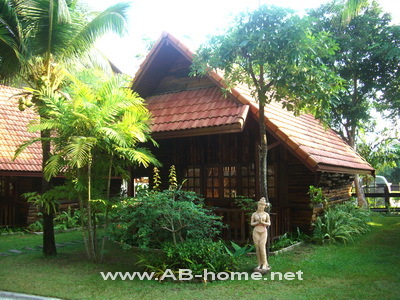 The VJ Koh Chang has reasonable prices and beautiful rooms with sea view. From the superior seaview room for example you can enjoy a panoramic view to the turquoise water of the Gulf of Thailand from your King size bed. The room amenities are air condition, safety box, TV with international programs, refrigerator, mini bar and a hot water shower in the bathroom. 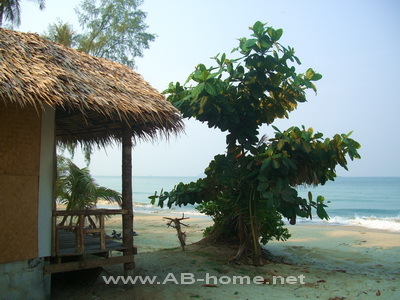 For more Hotels and Koh Chang accommodation click here. The Aana Resort & Spa is a luxury hotel in Klong Prao Beach on Koh Chang in Thailand. The comfortable rooms of this 4 Star Resort are perfect for honeymoon and deluxe holidays in Thailand. 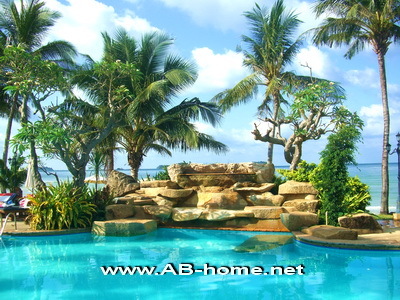 The private pool hill top villas have a private Jacuzzi and a nice view to the hills and the Gulf of Thailand. Aana Resort Koh Chang is direct on the Klong Plu River and the Cinnamon Restaurant of Aana serves delicious breakfast buffet and dinner in a romantic atmosphere. 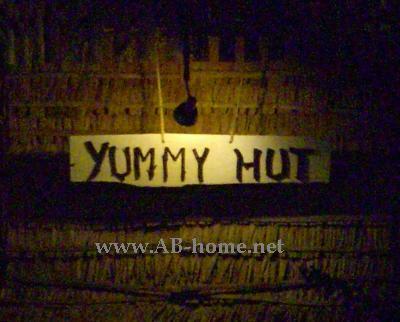 Around Aana Resort Spa are some sea food restaurants which are worth to visit. Through the huge panoramic window of the suites you can watch the beautiful sunset of this Island in Asia. The Spa section of Aana Resort Klong Prao offers traditional oil massages, Thai massages and spa packages for reasonable prices. More information about Koh Chang hotels and accommodation in Thailand you get on the desk of Aana Resort & Spa. 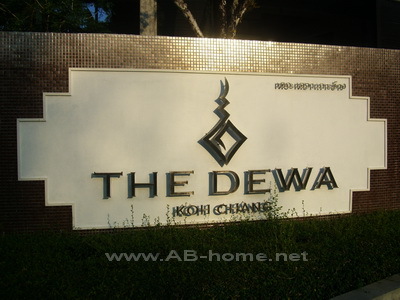 For reservation and booking of discounted Thailand Hotels follow the link. Wat Klong Prao is a Temple in Klong Prao Beach. Klong Prao Temple is a famous destination for Buddhist believers who like to render homage Buddha. The colorful main hall comprised a holy Buddha statue. If you visit Wat Klong Prao on Koh Chang early in the morning you can see the monks how they do Buddhist rituals. Very popular are the Songkran and Loi Kratong festivals at Klong Prow Temple. The temple market invite tourists and believers for a pleasant evening in this holy monument in Thailand. If you like to come to Wat Klong Prao on Ko Chang please respect the standard guidelines for temples. Photographs are basically allowed in temples but please show respect to this holy place and wear adequate cloth and show off your shoes if you enter in a building. Don’t forget that this is basically a temple and not a tourist attraction!